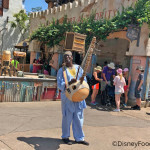 Y’all already know about the new grown-up drinks being served up in Pandora at the Pongu Pongu lounge, but that’s not the only place you can get something new and boozy in the Animal Kingdom! Nosiree! 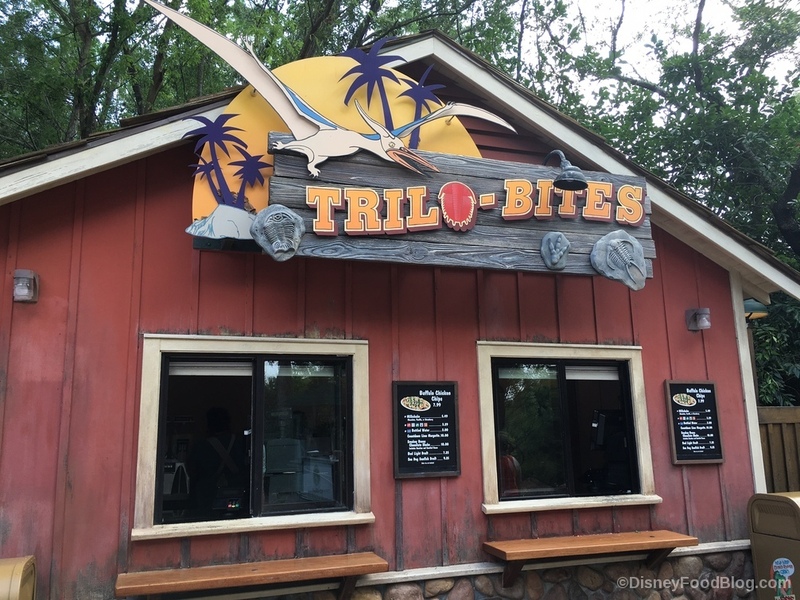 If you happen to find yourself on the other side of the park in the land of cartoonish dinosaurs, stroll up to the window of Trilo-Bites and take a gander at their (changing-with-some-frequency) little menu. Because it’s little. 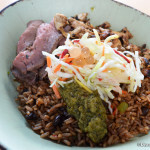 Trilo-Bites is itself a tiny little shack, and its menu is limited to only a few items. 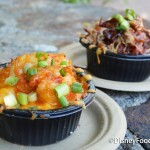 But it serves up some seriously tasty grub and drinks. We recently told you about the Buffalo Chicken Chips, which are loaded up on yum. 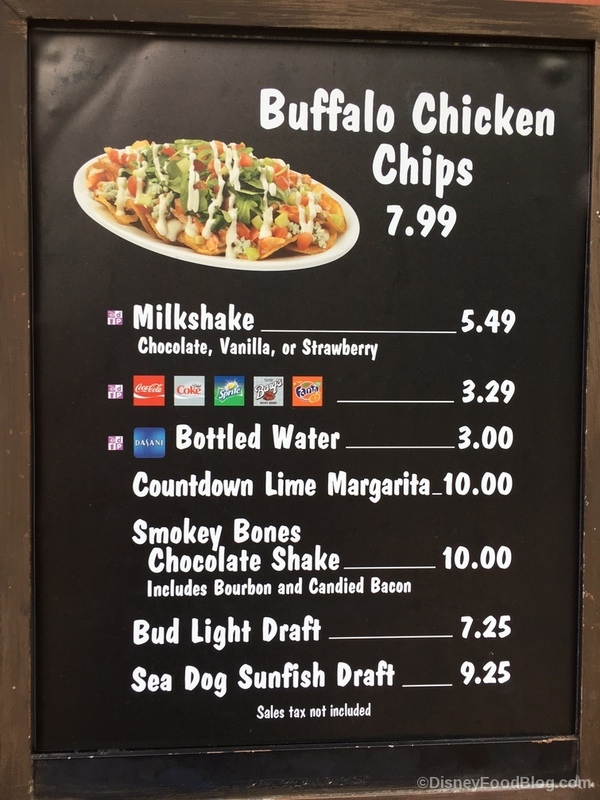 And Trilo-Bites recently added Milkshakes to its menu. And that’s where the new menu item comes in. Except that it’s not just your standard, everyday milkshake. Because this one contains bacon. Yup, you heard that right. 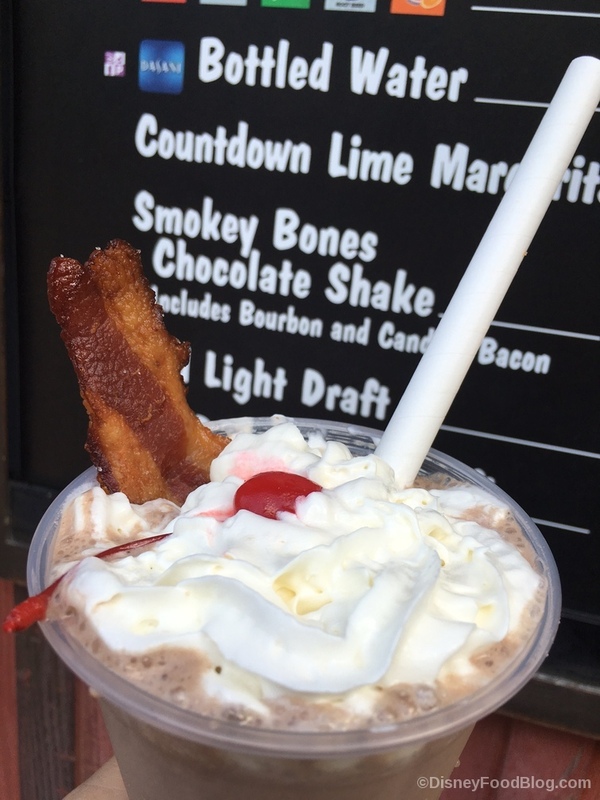 The Smokey Bones Chocolate Shake comes garnished with a strip of Candied Bacon. And in case that’s not good enough (or in case you need a little liquid courage to drink a milkshake with bacon in it), there’s also Bourbon mixed in. We’re telling you, this is one creative and thoughtful shake. Honestly, I could’ve stood a little more bourbon. 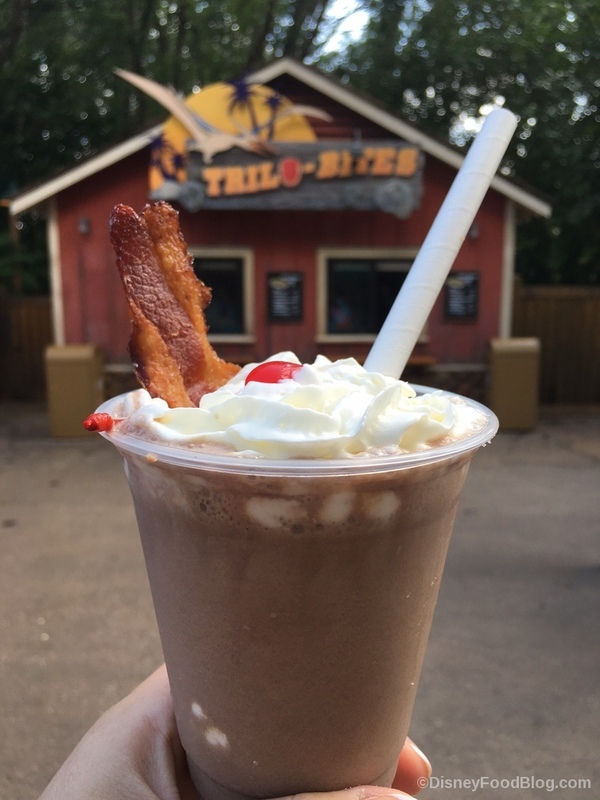 But the mixture of salty/sweet bacon, chocolate shake, bourbon, and whipped cream works. I mean, we’ve seen bacon in desserts at Disney for a while, and this is basically just a liquid version of that. But big points for portability and booziness! 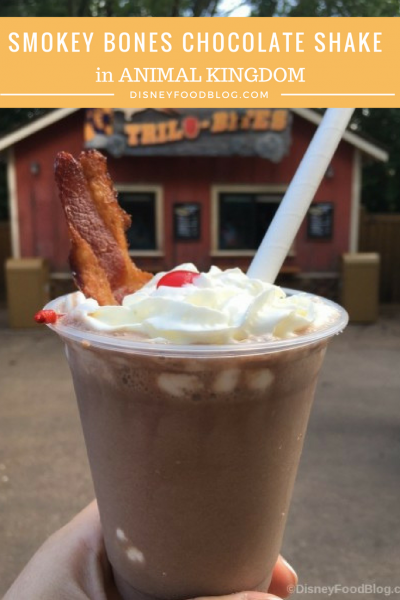 At $10.00, the cost might be a bit steep for all except the adventurous bacon and bourbon lovers, but if that’s you, it’s worth a try! 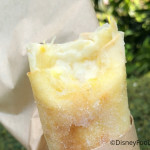 What’s your fave salty/sweet Disney snack? Tell us about it in the comments! Tried this on our trip this past May ’17 and it was delicious! Definitely were not shy on using the bourbon. It’s a real adult treat and a shame that it isn’t available anywhere else. The Knob Creek really gives it a kick too using the high octane version. I definitely had a buzz going just from one shake. Don’t visit AK and not try this concoction. Definitely worth the price. 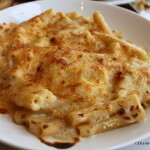 Hope to find a recipe for it somewhere online.